Is Too Much Human Interaction a Bad Thing for Your Real Estate Business? Before the robots take over humanity, it is in our best interest to put them to work for us. I know most of us are hesitant about welcoming our cybernetic overloads into our lives...but there are plenty of reasons why we can co-exist in a harmonious relationship. 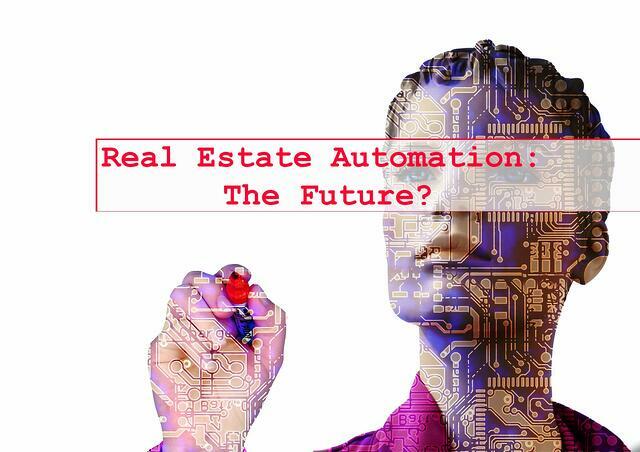 The title of this article is "Why you should EMBRACE Automation in Your Real Estate Business". The verbiage of that was carefully chosen because automation should be embraced, but not relied on. Top producing agents implement the best of both worlds, mixing human interaction with automated marketing. Automation is great for nurturing leads, but it is not the best vehicle for building connections and meaningful relationships. The number one reason automating should be embraced is because of the time you save doing it yourself! Automation has a spectrum of how much effort you must exert for it to be effective. There are some tools where you write your own emails and then schedule them out for later, there are some tools that will have full on conversations with your Facebook visitors. Either way, not having to send personalized listings to your real estate leads that may or may not convert into a client will save you so much time. Depending on the service you sign up with, automation will take care of your email campaigns, lead nurturing, and Facebook content. To hire an assistant to do this would be a full-time job. An assistant can be a great asset, especially when it comes to qualifying leads and running errands…but not every agent has another person’s salary in their budget. Automation can help ease the load you are carrying and take care of tasks for you. Real estate marketing is difficult. Most big brokerages and companies will employ a team dedicated to marketing. As a single agent, you can only do so much…especially the work of an entire team in addition to doing your own job. Having a service that will post to Facebook, blog for you, nurture your leads, send them listings, and send out emails will help elevate you to the level marketing done by a bigger company. There is much value in outsourcing. Again, assistants are a great asset to have. Even virtual assistants from foreign countries can bring value to your business, and decrease your stress. With automation, you can rely less on outsourcing and put the control in your hands. THIS is the reason why you need to embrace automation! A good CRM with automation tools will be effective at incubating leads. They will contact them with light touches as they continue their home search process. When they are ready to speak with you they will respond to an automated email, OR just call you because your phone number is at the bottom of all your signatures with a call to action. This will leave you time for more concentrated face-to-face interactions, with leads you have identified as more likely to convert. Automation is great, and can yield amazing results when used parallel to human interaction. Relieve yourself from some of the stress, and give it a try. You can sign up below for a free trial of our social auto-posting service. Let us take care of your Facebook posting for a week or two! Click below to automate your Facebook page for FREE!